I wonder what is their policy about the website of the Tokyo Shinbun, there is almost nothing about this law on it's homepage. (I could find only the a link to the text of the law). Search the site or Google news for 特定秘密保護法案. The Chunichi Group seems to be a traditional media organization with a strong commitment to dead tree publishing. Their online content is risible. I'd be curious to see what extent have the other papers spent in terms of "dead tree real estate" as well. 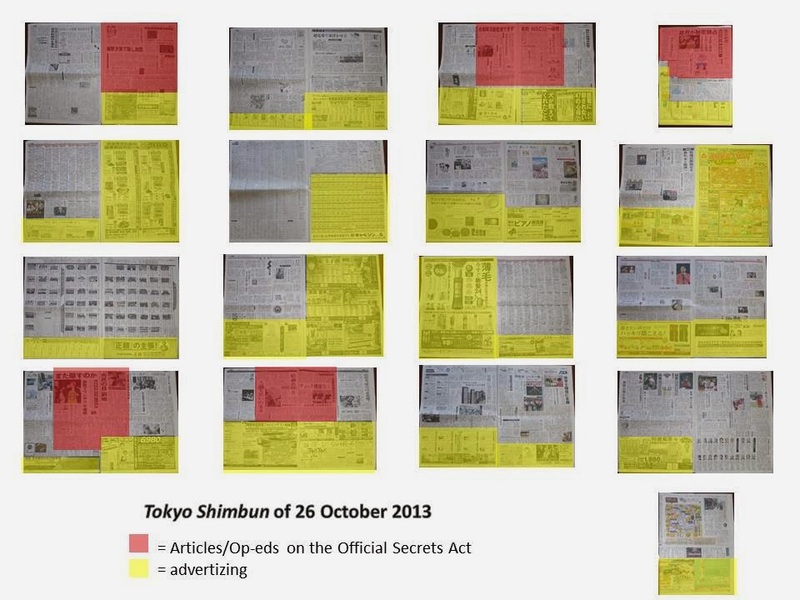 Looking at online content it seems at least Asahi, Sankei and the likes have provided more than the average amount of teaser article length for this particular topic.